Geoseeker 10050,- € • Water- and Cavefinder mit Tablet-PC !!! Der neue mobile Detektor für die Suche nach Wasservorkommen, Grundwasser für den Brunnenbau oder Höhlen, Bunkern und Grabkammern bis zu einer max. Tiefe von 250 Metern !!! Mit Kabelloser Datenübertragung zum Tablet PC. 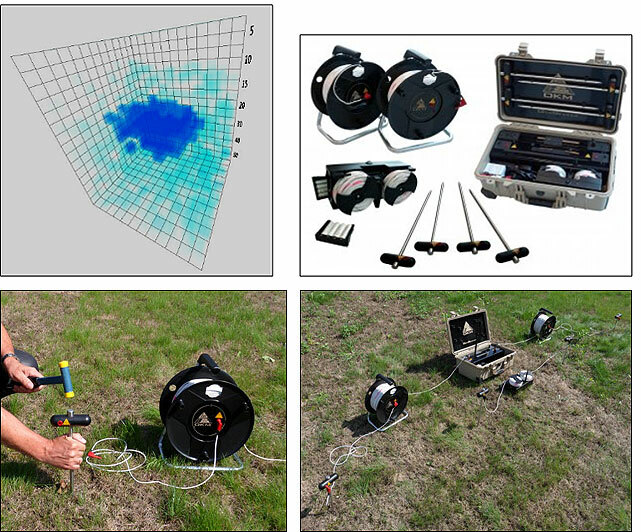 The scanfield needs to be devided in single measuring points (similar to the impulses in ground scan), than the device measures from start depth to final depth, after this the electrodes will be put to the next measuring point. That means the measurements with the Geoseeker take much longer than with the current Waterfinder, but they are much more precisely. 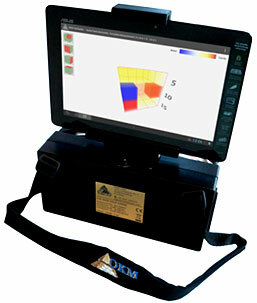 In a “New projekt” the device is asking for the scan mode (active / passive) and depending on the chosen mode it is asking for fieldlenght and – width, intervals of the measuring points, start depth and final depth. An ongoing measurement can be stopped and continued later.